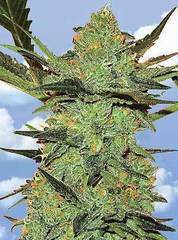 Hybrid of Original Haze & some of the best indicas from around the world. Generally tall, upright phenotype. Citrus like smell. This is a global, holistic haze not just a mere giant haze. Let mother nature show you the way, a true collective temple of haze. High in energy, low in coherence & the uplift of a wonder bra.